Participants learn the basics of creating yarn from fluff by using the hand spindle and spinning wheel with prepared llama and alpaca roving. Care and feeding of spinning wheels and plying techniques are also explored. Spinners often are discouraged at the beginning of their spinning journey because of lots of "corkscrews and overtwist". Sometimes beginner yarn feels hard or too coarse. 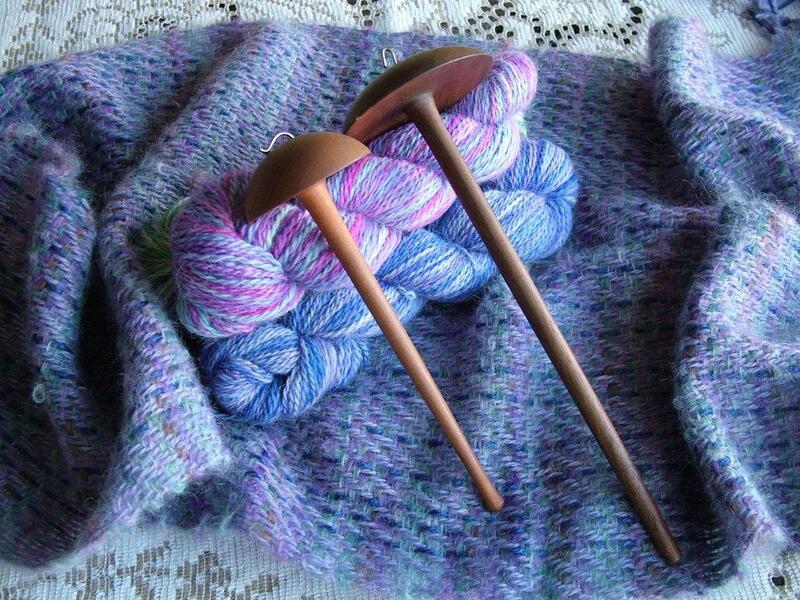 This class offers techniques to correct these issues, allowing the spinner to spin very soft, lofty yarn from alpaca or llama suitable for fine knitting or weaving.